Do You Have A Concrete Paving Project We Can Help With? Concrete Paving provides a great driving or walking surface while also maintaining high quality texture and resistance to skidding. A well-graded concrete mix applied by the qualified crews at Coronet Construction has the rights properties that result in stability and good performance. 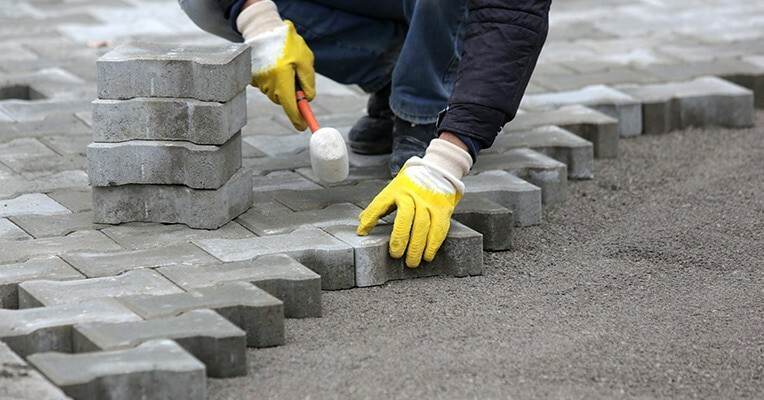 Whether you’re looking to redo the walkway in front of your home or put in a new parking area at your place of business, we’re a contractor with the experience and expertise you can count on! High quality Concrete Paving begins with good preparation of the soil surface. Ideally, the soil will be adequately compacted and graded to the appropriate elevation for your project. Based upon a few factors, it may be necessary to apply a layer of base material right on top of the subgrade layer. There are generally two options for Concrete Paving: slipform and fixed form. With slipform, a machine with treads is used to ride across the area slated for paving. As an example, picture the way a train moves along on a tracks. The concrete is poured in front of the paving machine so it can be spread and shaped in one consistent operation – which requires good coordination between concrete placement and the forward pace of the paving machine. For fixed-form paving, metal forms are placed and aligned on a firm foundation. Final prep and shaping of the subgrade or subbase is done after these forms are set. Once the concrete is put in its position on the subgrade, spreading is finished by a mechanical device that rides on top of the preset forms and the concrete surface. This “spreading machine” is followed by another machine that shapes and finishes the concrete. Once the Concrete Paving achieves a required strength, the forms are taken out and the curing process begins. Ready to get going on your next Concrete Paving project? Give us a call at 630-835-0700 and set up a FREE ESTIMATE today!